In the not-too-distant future, U.S. military snipers may be able to steer bullets right to the target, thanks to DARPA, the Defense Advance Research Projects Agency. Believe it or not, DARPA has developed a guided .50-caliber projectile fired from a conventional rifle action. 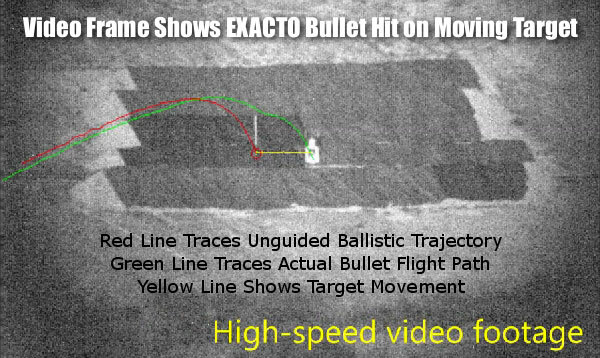 DARPA’s Extreme Accuracy Tasked Ordnance (EXACTO) system combines a maneuverable bullet and a real-time guidance system to track and steer the projectile to the target. Inside EXACTO bullets are optical guidance systems, aero-actuation controls, and multiple sensors. The top-secret technology permits the trajectory of the bullet to be altered in flight, allowing the bullet to move left or right, or even fly in an arc around an obstacle. EXACTO VIDEO AFTER READ MORE LINK! Share the post "Gun TECH: DARPA Unveils Guided EXACTO .50 Caliber Projectiles"
Here’s an interesting product, offered by Creedmoor Sports. 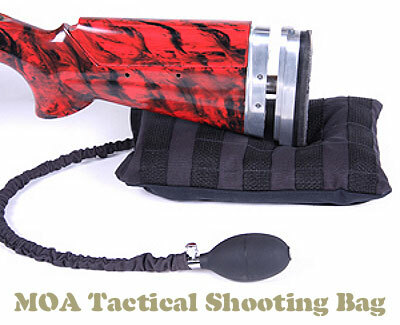 The innovative MOA Tactical Shooting Bag (MOA TSB) combines plastic pellets with an inflatable, inner air chamber to provide a very lightweight (and adjustable) rear support for your rifle, when shooting prone. Designed for “tactical” shooters, we think the MOA bag would work equally well for hunters and varminters. Costing $59.95, the MOA inflatable bag is priced competitively with basic rear sandbags, but it weighs much, much less than a leather or cordura bag filled with sand. These MOA bags are built tough, with a durable inner air bladder, surgical-quality tubing, and rugged outer fabric. To help stabilize the bag, lightweight polymer (plastic) pellets are used inside. The air pump then inflates the air bladder to the degree of hardness/softness you prefer. An air valve allows you to deflate the MOA bag for more compact transport and storage. Share the post "New Inflatable Rear Bag for Hunters and Tactical Shooters"